Like most web developers, Google Fonts is an indispensable resource for me. What would otherwise be a choice between sticking to a small handful of web safe fonts or wrangling WOFFs, OTFs, and TTFs is solved with just two lines of code. While Google Fonts is a valuable tool, its interface leaves much to be desired, a fact that hasn’t escaped the attention of folks like Laura Franz or Sascha Grief. As a devoted user of Google Fonts, I’d like to add a few of my own pet peeves to the conversation. First, one of the most common ways people arrive on Google Fonts is through a web search. The page you’ll land on, while admittedly chock full of interesting history and statistics, doesn’t include the information you’re there for. For that, you’ll need to click the “Open in Google Fonts” link in the top right. “I thought I was already on Google Fonts,” you might wonder. Second, the Google Fonts interface is peppered with buttons, many unlabelled, that always give me a half-second pause. “Which one do I click to start using the font?” Hint: it’s not the bright blue button that beckons. Finally, Google Fonts includes a lot of directions and tips that are useful for the first-time user, but after the 100th visit, only serve to waste space. Add fixed bars at the top and bottom of the page and you end up with the most crucial bits below the fold, maybe even buried in a hidden tab. Last week I tried my hand at building the Google Fonts interface that I wanted to use. 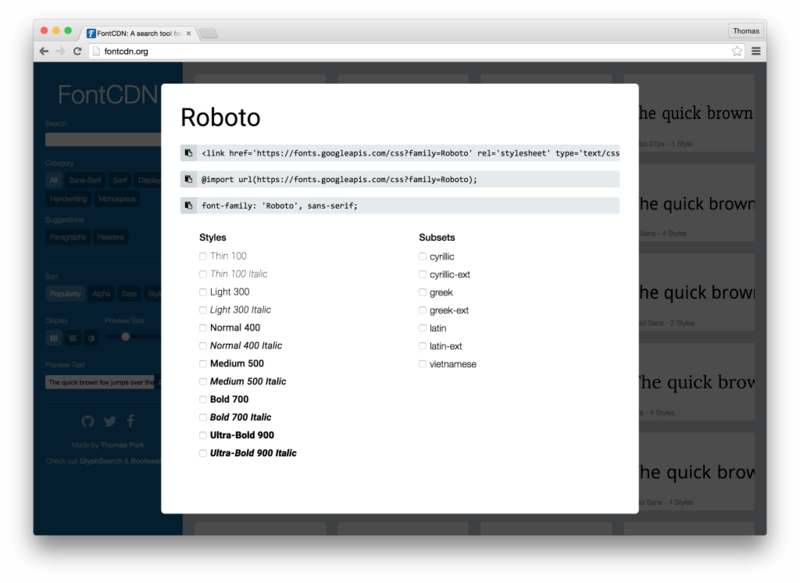 The result is FontCDN. 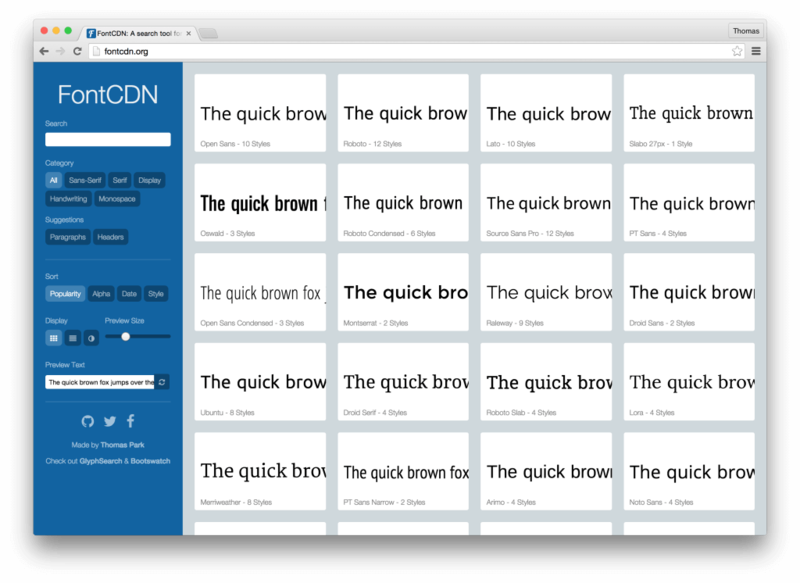 FontCDN addresses a different use case than what Google Fonts seems to be designed for. 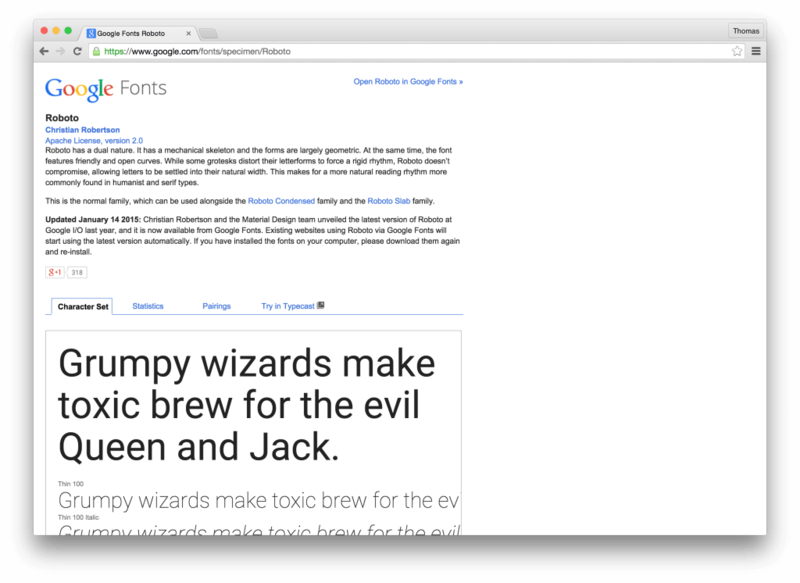 Rather than deeply exploring and comparing different fonts within Google Fonts or within a prototyping tool like Typecast, the goal of FontCDN is to quickly grab the fonts you’re interested in and try them out within the context of your actual project. 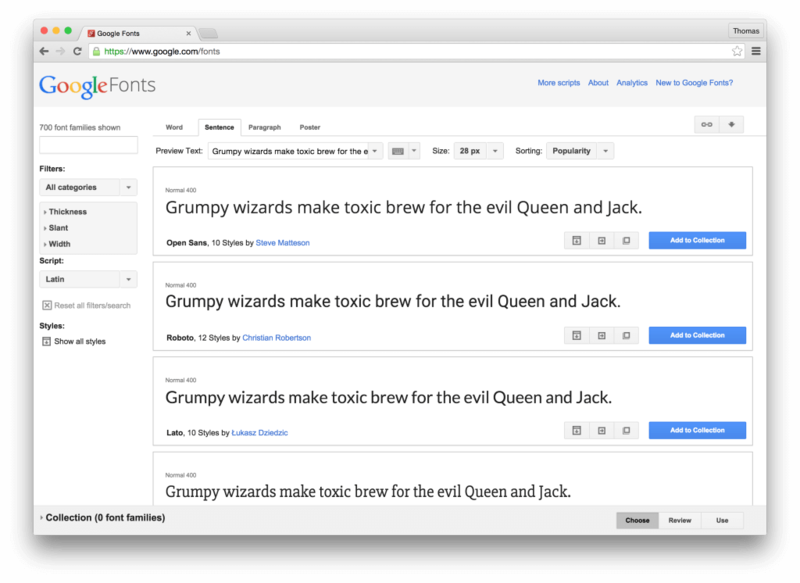 You can sort and filter the 700+ fonts available on Google Fonts any which way. You can even browse fonts that have been recommended around the web, a feature inspired by Typekit. Click a font to view the import and style code. Click a button to copy it to your clipboard. There’s no step three. Give FontCDN a try and let me know what you think. Performance was a priority given how resource-intensive it is to browse hundreds of fonts, and using React was one of the keys. But given this is my first time using React, there are surely many more optimizations to be made. If you want help out, the project is on GitHub. While it took some time to become familiar with React, and JSX resides in some kind of uncanny valley, the componentization and render methods made it worthwhile. So much so that when it comes time to revamp GlyphSearch, I’ll probably give it the React treatment. On a final note, hat tip to WebPack, React Infinite, and Web Font Loader, which saved me a boatload of effort on this project. Hello Thomas, your new google fonts search site is really nice. We run a font site, and have been debating building something like this internally to search our own webfonts, which is around 30,000+ fonts now. 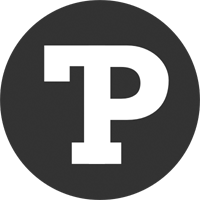 We are little known, more independent, niche font provider based in USA/Thailand that has actually been online since 2002. I was curious if you were interested in working together on anything font related? Checked our your site, lots of amazing fonts. Drop me an email with what you have in mind! the only one i miss is a “view all styles”. You should register that domain and make it redirect to your actual URL. Just stumbled across this today, and it’s a great tool. Bookmarked it as I’m sure I’ll be using lots in future. Really cool tool…will save hours of clicking back and forth! Would be really handy to have a ‘CAPS’ ‘Lowercase’ button just to get a quick switch when looking at styles. Very cool! I made fontSwitcher (http://codepen.io/freginold/pen/vLJewY) to try to make it easier to grab Google fonts, but this is much handier. Thanks for sharing it! Nice, I do like the option you give to specify target class. 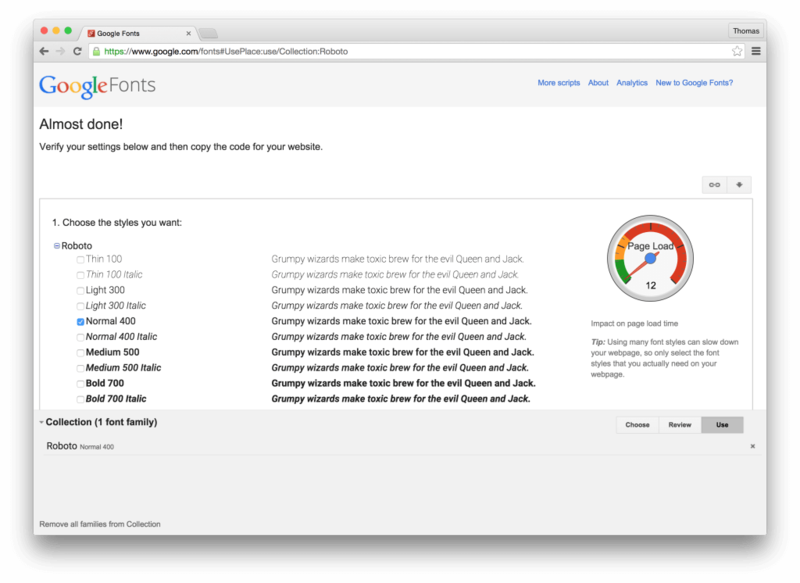 The revised Google Fonts UI has many advantages but for the serious professional who has a thundering stampede of projects, all of which have to get out the door yesterday, the new interface is an absolute productivity killer. It is like casually flipping through the pages of a design magazine while sipping a cup of green tea with the aromatherapy candles going. If the extreme right-brain folk want this, great — power to ’em — but some of us professionals need to get things done and hit the darned deadlines. There is no longer an option of the previous list view. One of the advantages of the previous version was that it displayed more fonts per click on the scrollbar than the new version. I’d rather be able to quickly scan through 10 at a time than six. Google needs to offer both approaches so that everyone can be accommodated. Big outfits like Google need to take all users into account, not just one group. > It is like casually flipping through the pages of a design magazine while sipping a cup of green tea with the aromatherapy candles going. Hilarious. Hey, sometimes when looking for design inspiration, that’s exactly what you wanna do. But agree that a lot of UIs coming from Apple lately have been designed to look great in screenshots, at the cost of real usability, especially for power users. It also seems that a lot of developers work day-to-day on 30-inch UHD displays and optimize for that. that google extension interface “terrible”, it’s actually got awesome features (like CSS selector, and embed codes). But option buttons for the list is kinda lame, and when you re-open it the picker, it doesn’t go to currently-applied font. The best feature is you can PICK FONTS WITH ARROW KEYS (without using the mouse). cheers!